Musician, songwriter, worship leader and now pastor, McDowell nearly doubles over in laughter, beams a smile and shouts, "There is nothing too hard for the Lord!" In response, a young, diverse crowd screams in worship. Packed tight in a standing-room-only warehouse, they sing and dance to music so loud it can be felt. This is the next generation of revival, and it's happening in Orlando, Florida, known more for amusement than for awakening. McDowell has had his prayers answered. Standing onstage wearing a T-shirt emblazoned with the word "Fearless," he is lead pastor at Deeper Fellowship Church, which has grown from 15 to 1,000 people in three years. For seven years, he and his church have been begging God for a new revival, one that would permeate the entire earth. But they didn't expect it to start in their congregation. "It's such an honor to see how people are standing outside just to come in the church," says volunteer Thamar Blaise. "Normally people would say, 'Hey, I've never seen this happen at a church.' They've seen people stand in line to come walk in the club, but this is church. People are standing one or two hours just to step foot in the church because of something amazing God is doing." But the biggest question isn't why Millennials are lining up outside for hours to come to church. It's how this move of God stayed a secret for nearly two years. McDowell admits he has hesitated to share what's happening in the revival. "I believe wholeheartedly that the fastest way to kill it is to brand it," he says. "That's why I call it the nameless, faceless revival." He's finally ready to take the movement public. McDowell tells Charisma how the revival got started, how this move of God is changing his community and how other churches can experience it. In 1998, McDowell was riding in the back seat of his friend's car—heading to his hometown of Cincinnati, Ohio—when he received a vision from God. Staring out into the cornfields, he saw a vivid picture of a building where Christians were trained in the arts. He feverishly wrote it down on the back of an envelope, the only scrap material within reach. "Where is this place?" He asked. "What is it, and where is it?" He heard God reply, "It's in Orlando, Florida, and I'm going to use you to build it." McDowell had no intention of leaving Cincinnati. But he had no doubt God had spoken to him—and he was not about to say no to God. "I didn't know the totality of it," McDowell says. "But I knew it was from the Lord, and I knew it was God's will. I knew I was supposed to do it. It was clear to me: ... This is a life-altering thing." In 2000, he moved to Orlando, knowing he was never going back to live in Cincinnati. 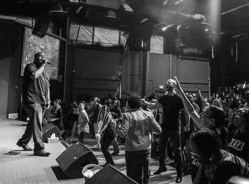 He attended Full Sail University, got a degree in recording arts and became worship pastor at The Gathering Place. He also served as a keyboardist and music director for acclaimed worship leader and recording artist Ron Kenoly. Eventually, McDowell's musical career took off, beginning in 2009 with the release of his debut album, As We Worship. In 2011, he released Arise, and in 2013, Withholding Nothing arrived on the scene, culminating in 2015 with a Grammy nomination for Best Gospel Album. For 11 years after receiving the vision, McDowell thought God only wanted him to build a training center for artists and musicians. He had no idea this center would be a church. If he had, he says, he wouldn't have done it. "I had no intention of ever planting a church," McDowell says. "I was part of a church plant [in 1998]—it's hard work! So, I would have never said, 'This is what we want to do.'" God started leaving McDowell clues to his full destiny, but he was stubborn. A radio DJ gave him a prophetic word that he would be her next pastor. But he told her, "I'm sorry that you missed that." His church sent him to the 2009 Exponential Conference to get tips on church planting. During the first session, he says the Holy Spirit told him, "You're not here for them. You're here for you." But he responded that he was "not hearing that," went home and never returned. Like Jonah, McDowell says, "I ran from the church idea that entire time, anytime anyone would even say it." Breakthrough finally happened at the 2010 Exponential Conference, which McDowell attended with his friend—whom he thought was the "real" church planter between the two of them. During the final breakout session, McDowell heard a familiar voice. "Why are you ignoring me?" the Holy Spirit asked him. The Holy Spirit asked again, "Why are you ignoring me?" His friend then turned around and got involved. "Dude, I know this is going to sound really weird, but the Holy Spirit just told me to ask you why you're ignoring Him," the friend said. "I'm not!" McDowell cried out. But this time, the message got through to him. He gave in to God and, by conference's end, said he intended to plant a church. From that moment, he made obedience his personal policy: "I will not reject what the Holy Spirit wants to do." That lesson paved the way for his church's ultimate revival. Volunteers at Deeper Fellowship wear T-shirts that say "Pray Like Lives Depend on It." For most members, that's not just a catchy slogan—it's a lifestyle. When Deeper Fellowship began in 2011, it was a group of only 15 meeting in McDowell's living room. He describes it as basically a monthly "small group" where they gathered to pray for their city. "For three and a half years, the main thing we did is build community and pray every day for the city of Orlando," McDowell says. "We laid out a map of the city. We let our tears hit it. We laid our hands on it. We prayed for a move of God in the city and that, from this city, there'd be a move of God that permeates the earth." The group remained stable and small during those three years. McDowell wasn't trying to grow it. He was aggressively touring with his music at the time, which taught him that numbers weren't everything. "A crowd is not a church," McDowell says. "I could do events to attract a crowd, but that's not a church. So, it was very important to me that the group be focused on what the Lord wants to do." When Deeper Fellowship finally moved into a church building, it was still those same 15 people that first week. The church's mission had not changed: praying for a move of God to permeate its city and the earth. Years earlier, McDowell had shared his heart for revival with a stranger at a church he was visiting. The two began talking about what a future move of God might look like. Suddenly, McDowell felt a bizarre physical sensation, like something was moving inside of him. "Did you feel that?" the stranger said. "Did your baby just leap too?" McDowell would feel that same sensation more than a decade later, on Sunday, May 22, 2016. The first service had finished. He was preparing for the second when he felt a deep unease in his spirit. He asked one of the other pastors to handle the service introduction so he could press in deeper. He kept praying, trying to discern what God was saying. As worship ended, he got his response. He felt that "spiritual baby" moving inside of him again. He rose for his sermon, but all he could do was weep. Choking through the tears, he told the congregation what he felt—and how it linked to a decades-old discussion about revival. One of the pastors suddenly shouted, "It's happening!" Without prompting, churchgoers rushed the altar, literally sprinting to the front. They fell on their faces, weeping with McDowell. They all stayed there, wordless, for hours. "I had multiple thoughts at that moment," McDowell laughs. "The person who had been crying out to God all these years for a move of God is like, Oh my, I can't believe I'm experiencing this! The pastor, pragmatic side is thinking, The guests are never ever going to come back." Hours in, McDowell guessed the guests felt awkward and sheepishly told them they could leave. He says he felt an immediate rebuke from the Holy Spirit. As people walked to the doors, he started yelling, "Wait! Wait! Please don't leave!" Normally so eloquent in his Gospel presentation, McDowell didn't know what to tell them. So, he said, "If you have sat there through this and you don't know the Lord, it's because you want Him. If you want Him... "
He never finished that sentence. Nonbelievers rushed the stage and gave their lives to the Lord. That's how the outpouring began. Almost two years later, it's still happening. It doesn't always look the same. Some nights are full of weeping and repentance. Others are joyful and worshipful. Sometimes he still gives a sermon. At other times, participants do nothing but pray. For Deeper Fellowship, true revival is unpredictable and continually morphing—and almost never fits in the box of what we think revival should look like. "To say, 'Hey, we don't know what's going to happen one hour from now' is a different paradigm that makes a lot of people uncomfortable," McDowell says. "Revival cannot happen on our terms, and it doesn't happen by our direction. That's why not everyone is experiencing it. Everybody needs it, but not everybody wants it." During one song, McDowell sings, "There is healing when I call." The crowd enthusiastically replies, "When I call Your name!" They repeat this for several minutes. For Deeper Fellowship, this truth isn't just "Christianese." "We have seen more than 200 miracles of physical healing in addition to deliverances, supernatural breakthroughs and salvations," McDowell says. And these miracles have occurred in only 18 months. As McDowell says, "Imagine more miracles than Sundays." "Rivers"—that's what the church services have been renamed. "In the River of God, there cannot be boats with oars," McDowell shares. "In order to be in the River of God, we must throw down our oars and put up our sails." Miracles have been reported at many other revivals, but Deeper Fellowship has gone a different direction. The church never hosts healing nights or calls what is happening a "healing revival." There are no fire tunnels, healing lines or people falling to the floor with a healing miracle. Most healings don't even happen formally. Occasionally someone calls out a specific sickness God wants to heal—but not "back pain," McDowell says, which along with other vague symptoms doesn't count toward their list of 200-plus healings. Most people are healed simply by entering the room. Others find private spaces or wait until a service's waning hours, when much of the crowd has left. "Some of the most significant things that have happened have happened apart from the large crowd being here," McDowell says. "It's the people who have enough faith to just believe." Jason McMullen's family experienced some of the most powerful healings that have taken place in the church. McMullen, the executive pastor at Deeper Fellowship, called McDowell one night asking for prayer for his wife. "Jessica is deathly sick," McMullen told McDowell. "She's vomiting, has a severe headache and is hurting all over. Please pray!" Jessica was 31 weeks pregnant with their ninth child and described her pain level at a 10. After several medical tests, doctors determined she had acquired an amoeba—a brain-eating microorganism that can sometimes survive in fresh water when conditions are right. The average life expectancy for someone with an amoeba is three to five days. Jessica was given a 3 percent chance of survival. The baby was quickly delivered via C-section and placed in intensive care. Meanwhile, two of the other children at the McMullen home began exhibiting the same symptoms as Jessica. After they were admitted and tested at the hospital, doctors confirmed that they too had contracted an amoeba. Shortly thereafter, five more McMullen children were hospitalized and placed under observation, with doctors expecting them to test positive for the amoeba. McDowell and several church members prayed around the clock for the McMullens. McMullen prayed intensely as well. The next day, McDowell met McMullen at the hospital. McDowell says he had a supernatural peace that could only come from God. Together, they spent time visiting with and praying for Jessica and all of the children. God responded. Almost as suddenly as the trauma began, a miracle happened. A nurse whom they had not seen or interacted with before came and sat by the bed and spoke to McMullen. "Have you heard? No amoeba!" she said. Twenty-four hours later, Jessica and all the children were cleared of the amoeba. Tests from the Centers for Disease Control and Prevention confirmed the result. The children were sent home, and a week later, Jessica also went home—with a completely healthy baby. Healings are only part of what God's manifest presence is producing at Deeper Fellowship. Deliverance from life-controlling addictions and disorders is another. Before Thamar Blaise began attending Deeper Fellowship, she was planning to commit suicide. Though her first visit to the church predated the revival by two years, she bears witness to the Spirit's anointing even then. "I knew God needed to heal me," Blaise says. " ... I didn't have to go up to the altar. I didn't have to do anything. I was sitting in my seat, and God just took that away completely. I don't have any problems with suicide anymore. I don't have any thoughts of depression. It was such a spirit of heaviness, and God just set me free, and I was completely healed and delivered that one time." As revival has broken out, she has seen many more find healing. "One of my close friends got healed from cancer," Blaise says. "Some of them had back pains and different types of infirmities. And God just completely healed them right away. Every time someone steps foot in the church, we know automatically what's going to happen." Another woman was healed of stage 4 lung cancer. The cancer had spread from her lungs to her neck and spine, nearing her brain stem. She was given only six months to live. McDowell prayed for her, and a few months later, her doctors gave her the good news: She's cancer-free, and she has the medical records to prove it. That verification matters to McDowell: "We are very intentional not to sensationalize what the Lord is doing, so we don't make declarations that are not provable," he says. Luz Rodriguez Lennon—a volunteer known as "Miss Mimi" by her church—is a family nurse practitioner and one of the church's first responders. She attests these healings are no hoax or spectacle. She saw a regular churchgoer who had been paralyzed by a stroke for years stand, then walk, then jump as a result of healing. "To this day, she doesn't walk with a cane any longer," Lennon says. "Ever since then, she's been speaking to certain parts of the body and they've been responding. I can attest to that, and I have actually seen it. Being in the medical profession, sometimes we have to draw that line. But I can tell you, being a professional in that particular realm, I know it's not by my power—it's by the Holy Spirit." Deaf ears open. Blind eyes see. Strokes are reversed. Surgeries are cancelled. Wheelchairs are emptied. The testimonies don't stop, but McDowell says the miracles are not the main story. "The miracles are just a sign that it's happening," McDowell says. "It's not the happening. Because a lot of people don't see miracles, when they hear that miracles are happening, they want to talk about that alone. But really, it's the presence of God, the outpouring of the Spirit of God, which is literally stirring the passion of people in a way that's transforming their lives. The bigger story of what's happening is actually the seeds of revival." At a recent church meeting, the pastors at Deeper Fellowship reflected on the prior 18 months of revival. Churchgoers were invited to ask questions. One woman asked, "What, for you, has been one of the signs that you know this was real?" One pastor replied, "When I see Joshua worship." Joshua is William and LaTae McDowell's 7-year-old son—they have four children and are expecting a fifth. Joshua begs to go to church so he can be in the presence of God. He also invited his summer-camp teacher to church, where she got saved. And when his father went out of town on business, Joshua went up to his dad's study with his Bible, telling his mom, "I have to spend time with the Lord." McDowell treasures a picture he has of his son, face down in worship. "They're growing up in a time where clearly nothing's impossible for the Lord," McDowell says of his children. "What more will their faith be able to see happen? ... The fruit of this revival is our kids being in love with Jesus. ... They're growing up in a culture where they're like, 'Come to my church. God heals people.'" Healing evangelist Randy Clark is an expert on revivals. As he said once in a TV interview on Canada's 100 Huntley Street. "I believe real revival is proven by its fruit. It's proven by its children." McDowell believes this revival is only in its infancy, but already he sees spiritual fruit. The impact of the revival is affecting the community as well. Blaise says the presence of God goes everywhere she goes. "When I'm at work, the glory of God is with me," she says. "When I'm at the grocery store, the glory of God is with me. I can just be walking and I can sense something. I'll say, 'God, just touch this man right now in the name of Jesus.' And God just does it." McDowell's dream is to see his city caught up in a culture of revival like Redding, California—home of Bethel Church. "The intensity of an outpouring, the way that it is now, can go at any point," McDowell says. 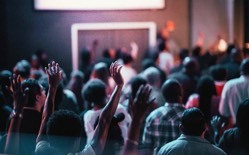 "But I also know that a people who honor God this way, who have this kind of posture, can create—I know Bethel and others call it this—a 'revival culture,' which is a continuous hosting of the presence of God, whether or not it's the specific kind of outpouring the way that we're seeing ... What we're establishing is a culture that continues to live this way." Deeper Fellowship's revival is starting to garner attention from major Christian figures. Pastor Steven Furtick, who leads Elevation Church in Charlotte, North Carolina, said he could attest to both McDowell's character and the reality of this move of God. "Some people point from shores of safety to horizons of future possibility, but once in a while, God raises up someone with the courage to do more than just talk about distant potential," Furtick says. "Instead, they wade into the middle of the miraculous, their faith leaving a wake that will impact generations, starting here and now. My friend William McDowell is a waymaker and walking evidence that the move of God isn't coming; it's happening!" Seattle Seahawks quarterback Russell Wilson calls McDowell a friend and a mentor, saying, "The Holy Spirit is alive and well in William's life, church and songs." McDowell takes no credit for how the Holy Spirit is moving at his church. "Everything we have experienced, we carry with reverence and honor, because we recognize we have done nothing to bring it," he says. He also knows he is not in control of this move of God. McDowell emphasizes that he is "not the focus of the story." "I'm not," he says. "He could use anybody anywhere, and I think that's the goal of writing It's Happening," his upcoming book release that tells both the what and why of the outpouring at Deeper Fellowship. "It's not to say, 'Hey, look what's happening here' ... The idea is that if it's happening anywhere, it can happen everywhere." The only thing McDowell will credit himself with is a refusal to reject the Holy Spirit. If the Spirit wants to do something, he says "yes." His early convictions were cemented by an experience in Boston in 2016. At a church concert, he felt the Holy Spirit moving. He thought the Spirit wanted to bring revival and healing to the people attending. He was about to start praying for them when the church staff passed him a note: "You're not allowed to pray for these people because the pastor's not here." Immediately, he felt God's presence leave. The Lord, rejected, withdrew from the church. McDowell went back to his hotel and wept. He vowed his church would never do the same thing. "That's an intentional posture of our church," McDowell says. "If He's doing something in the room, we're not going to say, 'No, thank You.' I think there are times when the Lord comes into different atmospheres and wants to do something, but because we're unfamiliar with it, we say, 'No, thank You.' We don't say that with our mouth, but we say it with our actions." Members of Deeper Fellowship say that's not lip service; McDowell lives what he believes. "Our pastor never advertises it as 'his' church," Lennon says. "He says we're going to allow the Holy Spirit to bring whoever needs to come here—and that's exactly what's happened. So, this revival has been nothing but a move of God." McDowell likes to say that desperate people always expose non-desperate people. "You can't get revival in a church if you don't have individuals who are experiencing it first," McDowell declares. "Someone who is on fire in a dry place causes a wildfire." People often see revival as an event, but McDowell says it's "something happening inside" of the Believer. And while there's nothing he can do to trigger revival, he and his congregation can posture themselves to be vessels for the Spirit. He says God revealed nine postures to the church: waiting, desperation, crying, prayer, worship, deliberate action, faith, obedience and repentance. Adopting these postures doesn't guarantee revival, but it does position Believers to encounter God. "We're not going to accidentally enter into revival," McDowell says. "We'll see it when we're willing to assume the posture that says, 'I want You and You alone, and I won't stop praying, I won't stop crying, I won't stop worshipping until You come. And then I'll keep on worshipping and keep on praying and keep on crying because I'm desperate.' ... When that is our posture, God will respond." McDowell hopes God is using Deeper Fellowship to awaken righteous envy in a generation. "It makes you jealous enough to cry out for it yourself," he says of the revival at his church. In other words, don't go jump on a plane to visit the Great Orlando Revival.